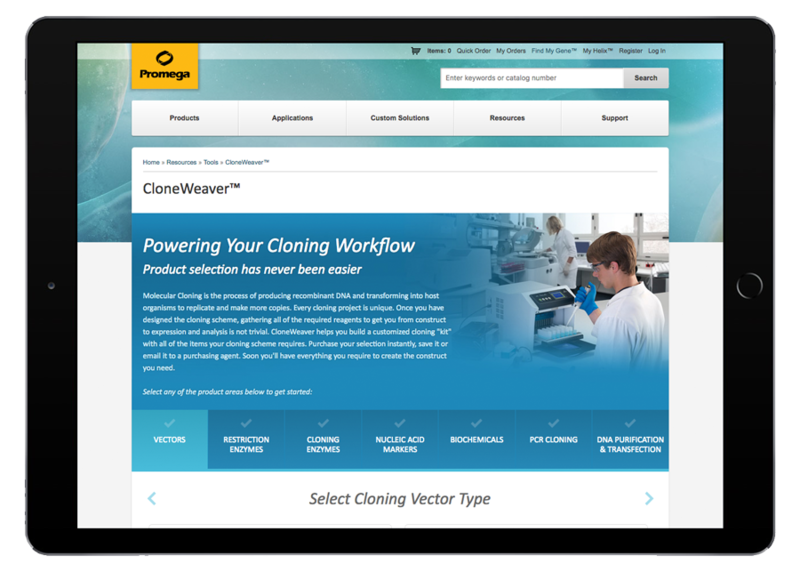 Promega was seeking a partner to design and develop a guided selection process that helped customers determine the correct cloning reagents needed for their project specifications. 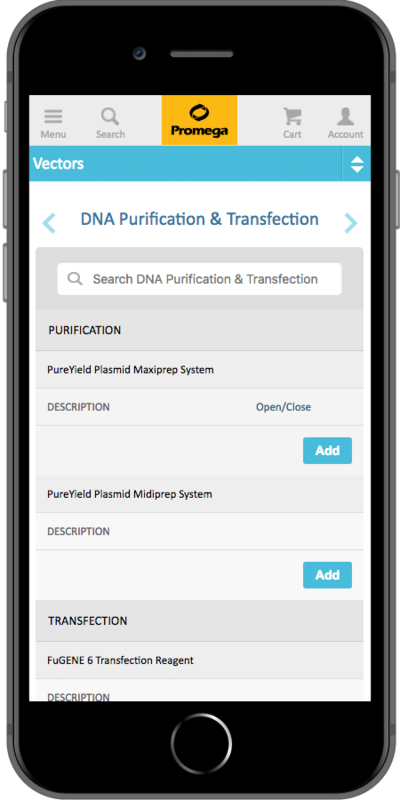 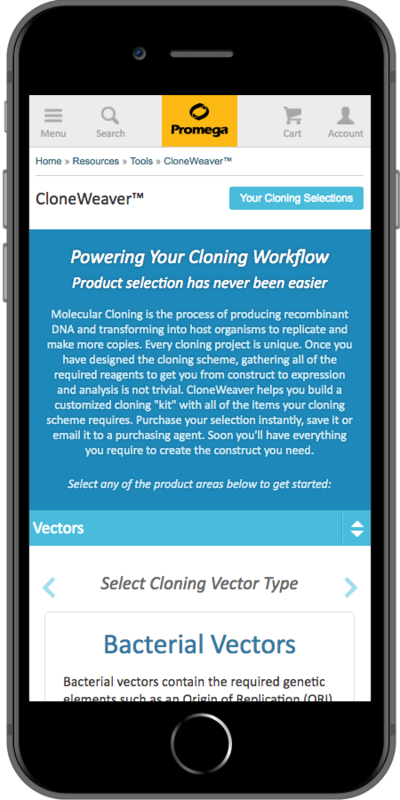 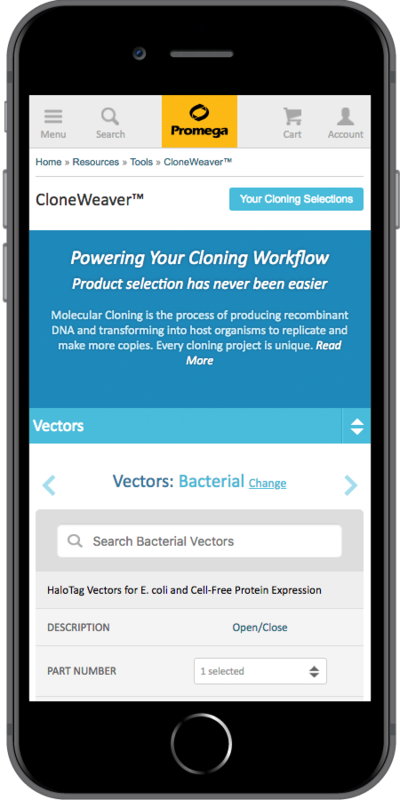 The selection process results in creation of a cloning kit that can be easily saved, shared with colleagues, and passed through to cart for immediate purchase on the website. 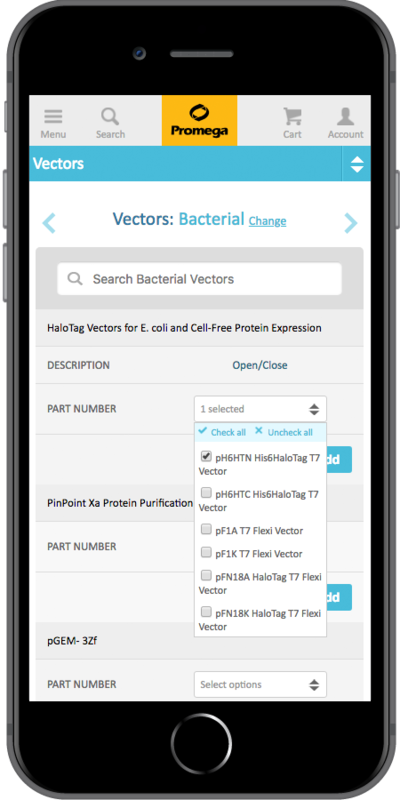 The complex nature of the product data and conditional relationships with components of the kit required a well-thought and simplified user experience, while fitting seamlessly within their existing website and brand standards.